October Newsletter is out. Upcoming events and a story shared about having a child with down syndrome in honor of down syndrome awareness month. Make sure to check it out: October Newsletter. To read AiN’s May Newsletter visit their newsletter. Now that our kids are back on their school schedule, and us parents are dealing with meltdowns of transitions and homework. It is time for you to take that much needed break, and time for our kids to enjoy an evening of fun activities without the academics. Make sure you checkout AiN’s photos of activities your child may participate in! Gift Certificates are available for family members to purchase. All in Need, Family Support is working on getting the word out to families that could use AiN services! This will not just benefit AiN, but also our children who participate in the programs. More kids means more opportunities for our children to build friendships! AiN will be working with Big Blessing Production, LCC (BB) in producing a commercial. The month of October we will be holding our regular respite, and BB will be shooting footage for the commercial during the event. We are looking for families who would be willing to share how AiN has helped them or their child. Even if you don’t want to be on TV they can do a voice over. Please consider helping AiN out. If you choose for your child to participate in this event, you will get a copy of the commercial. Lastly, if you do not want your child to participate that is okay too. You still can have your break, and we will make sure they aren’t part of the final commercial footage. Here is a copy of the photo release form. New brochures and flyers will be developed this month and we are considering changing names of events! Make sure you are a fan on Facebook to keep up with our current developments. Dictionary.com says that the Social Networking is the development of social and professional contacts; the sharing of information and services among people with a common interest. Therefore, Septembers goal is grow our social network pages on Facebook and twitter. Have you liked us on Facebook? You never know when you might receive a Facebook Special! Like us today! Are you following us on Twitter…Through the month of September tweet us and receive a discount in October! Follow us today! Thank you to Mary’s Pizza Shack for the fun relaxing fundraiser on Wednesday, August 29th! Thanks to the families and friends for coming out and supporting us! Brittany Erin Photography: Will be having a mini photo session for your Holiday photos. Proceeds will go to AiN! More information to come! eScrip: Many of you know what eScrip is because you have signed up to support your child’s school. eScrip is an easy way to give to All in Need, Family Support, and eScrip will allow you to sign up three agencies/schools! (For example: Autumn’s eScrip has Sequoia Middle, Valhalla Elementary, & All in Need). It is simple to use, you add your Safeway card and your Credit/Debit cards and as you do your daily shopping a certain percentage by participating stores is given to AiN. Visit eScrip today and follow the steps and make sure you add All in Need, Family Support. Our group ID is 500030170. Insurance is due again! Please consider donating to help pay for this years insurance as of September 14th the cost for the rest of the years insurance is approximately $750 There is a 3.00% APR charged to each month to any unpaid balance excluding property and accident. Please donate to help with our insurance. Insurance is a very large expense that AiN is struggling to pay. 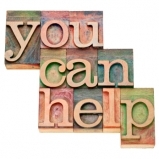 Sub Committees: As AiN continues to grow, we will need volunteers for sub committees. Volunteers will be needed for the following sub committees: financial, development, PR and other needed committees. Please consider supporting AiN by volunteering for a sub committee. Please email Crystal, sub committee chair, to let her know how you can help AiN. T-Shirts: If your child attends the social group outings, please purchase a T-shirt for your child. The cost is $15; please email Autumn with the size. Girl’s shirts will be purple and are available in sizes medium through large. The boy’s shirts are gray and come in sizes ranging from medium to extra-large. This will be required in 2013, but available now. Volunteers: AiN has some amazing volunteers! Thank you to AiN Respite Volunteers for supporting AiN’s respite on Saturday, August 18th: Austin, Deb, Jacob, Koralyn, and Kelsey for making a sucesssful evening. A special thank you to Mary’s Pizza Shack for our successful fundraiser! Thank you for having me, Walnut Creek Kiwanis. They were amazing sports as I gave them a taste of what AiN has to offer! Saturday Social Group: We are in need of volunteers to help out with AiN outings. The first Saturday of the month social outings are scheduled late morning or early afternoon and last 1 1/2 hours. Here are a few examples of our scheduled activities bowling, Qzar, Ghost Golf, and so much more. Please visit our website for more information. Respite Events: The third Saturday of every month we are in great need of volunteers for respite care. Respite care is a three hour program where we give parents a break, while we promote social interaction with the children offering gross and fine motor activities all in a sensory based atmosphere. This event is a three hour event in the evening once a month. Please visit our website for more information. Snoball: Snoball is a unique way to give to your favorite charities! You create a scenario (ex: Every time my favorite sports team wins…) and the amount to donate (…I will donate $1 to AiN). Snoball will keep track of when the scenario happens and deduct the amount when it reaches a threshold you dictate (ex: $25). Scrip: Raise money by shopping with gift cards for everyday purchases like food, clothing and entertainment. Each scrip gift card you buy earns a rebate for your non-profit organization. Scrip is the powerful, “no-selling” fundraiser. Contact Autumn for more information. AiN has agreed not to post group ID numbers online. Donate: You can donate online today through AiN website or send a check through mail. Location: Do you know a space that AiN can rent for Thursday Night Social Groups? Please send Autumn the information on the location. It was so much fun watching the Walnut Creek Kiwanis participate in some of our AiN activities. So much for a boring power point presentation… They did gross motor, fine motor, and sensory activities. Experience AiN! 1 Year of Service: Happy Anniversary All in Need, Family Support! AiN is celebrating one year of service on August 18th! Thank you to our supportive families who use our services. Thank you to donors, volunteers, and friends. Without you AiN wouldn’t have made it this far! Adryon Ketchman, Chair: Adryon Ketcham has been an active member of the San Francisco Bay area special education and Autism Spectrum Disorders Communities for over five years. 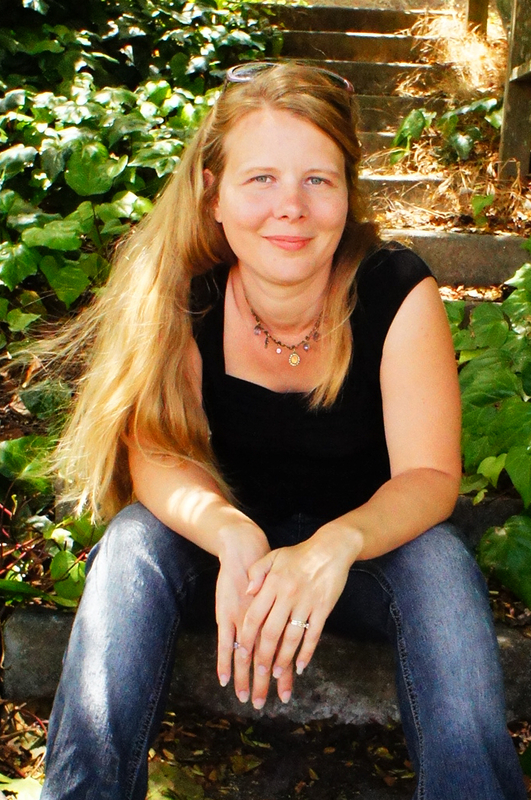 She has worked in the San Francisco, San Mateo, Alameda, Solano, and Contra Costa Counties in a variety of settings. Ms. Ketcham received her Bachelor of Science degree with an emphasis in Behavioral Analysis from University of California, San Diego. She holds a Masters of Arts in Special Education from Chapman University. Adryon obtained her BCBA from University of North Texas, at the Denton Texas Campus location. Ms. Ketcham has enjoyed her role as a therapist, clinical supervisor, and classroom teacher in her special education career. She enjoys working with all members of the IEP team, feeling a cohesive team is best for each child. Ms. Ketcham currently resides in Martinez with her dog Napoleon. She is an avid endurance athlete having completed marathons and triathlons with Team in Training. 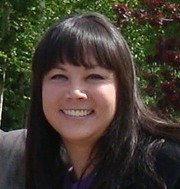 Julie Payne, Vice Chair: Julie Payne, a Bay area native, brings to all in Need experience, drive and enthusiasm. Over 8 years of experience in retail real estate leasing and management. Julie is currently the Assistant General Manager of Westfield Valley Fair in Santa Clara, CA Halfway through her career, she took a year to pursue her International MBA from the University of San Diego. Julie is the elder of an adult special needs sister. Her past volunteering includes Premdawn-Home for Sick and Dying-Calcutta, India, Winter Special Olympics in Lake Tahoe and Corazon-home building in Mexico with the St. John Vianney Church Youth group. Her hobbies include visiting the wine country, unwinding in Lake Tahoe, visiting family in Chicago, watching the Giants play ball at the stadium and staying fit and healthy. 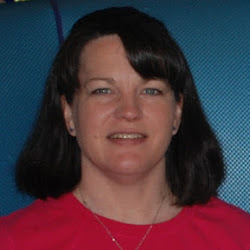 Elizabeth McClanahan, Treasure: Elizabeth lives in Concord, California with her husband and two daughters. She wears many hats in her life including wife, mom, business owner, volunteer, and advocate. Her daughters are the focus of her life. Some of her hard work paid off when her eldest, Brittany, graduated high school in 2011, and is now attending college to pursue her nursing degree. Elizabeth’s youngest child, Erin, was born with a genetic disorder called Mitochondrial Disease. Since Erin’s diagnosis, the family has rallied around her to give her the best life possible. Elizabeth has recently decided to give back to All in Need, and help take it to new levels by becoming a member of the Board and taking on the role of Treasurer. Elizabeth is a recent graduate of California State University East Bay with a Bachelor of Science in Business Administration and a Minor in Accounting. This coupled with her bookkeeping experience for small businesses, and her 12 years of Paralegal experience in Corporate/Business Law makes her a great asset for the Board. Erica Chew, Secretary: Erica Chew comes to the All in Need board bringing ten years of account management and business development expertise. She currently is the Director of Account Management for FRG Waste Resources, providing comprehensive waste and recycling solutions to corporate clients across the United States. Erica specializes in project management, USGBC LEED certification and ISO 14001 environmental certification. Erica was raised in a family of non-profit fundraising professionals, attending fundraising events from a young age. She looks forward to using her personal experiences to help the All in Need board. In her spare time, Erica enjoys running and traveling. 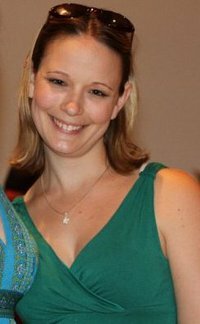 Crystal Stull, Committee Chair: Crystal Stull was born and raised in Concord California. She worked as a Special Education Assistant for the Mt. Diablo Unified School District for 10 years while figuring out what she wanted to do and put herself through school. During this time she discovered that she had a passion for working with children that have special needs and their families. She graduated from Cal State East Bay with a BS in Liberal Studies and minor in Psychology. She obtained her Multiple Subject Teaching Credential as well as her Special Education Mild/Moderate Credential from Chapman University. After obtaining her credentials, Crystal left teaching elementary school and took a job teaching Resource at the high school at which she attended. She is now beginning her 3rd year teaching high school resource. She regularly attends meetings and trainings to further develop her skills. She is on the CARE team at the school as well as the Department Chair. Crystal loves giving back to the community that she grew up in and continues to strive to provide the best education possible to her students. She recently decided to continue to support those in her community by accepting a position on the Board of All In Need. Crystal is looking forward to continuing to offer support to children and their families in this new capacity. Autumn Green, CEO and Founder: Autumn Green the founder of All in Need, Family Support. Ms. Green holds a degree in Business Administration from Lane Community College in Eugene, Oregon. Autumn worked as an Administrative Assistant at Lane Community College for six years until my family moved to the San Francisco East Bay area in December 2006. Being a wife and mother is her top priority. Continually supporting her husband’s career as an Energy Engineer, and advocating for both of her boys. Austin, her oldest son, was recently diagnosed with Psoriasis and ADHD, and her youngest son Yaakov has had several different diagnoses given–Speech Delay, Pediatric Bipolar, Aspergers, and others—since the age of three and a half. Determined to give her children the best support in school and the medical world, she spends much of her time and energy advocating and balancing the active lives of her boys. Austin is involved in HipHop and Breakdancing, participates in his church Youth Group, and chooses to make a difference in the world by participating in the Walk for Psoriasis. Yaakov, a left defender in club soccer, has many team practices and tournaments. She makes it a priority to provide transportation and moral support for these activities. She is also a member of the Community Advisory Committee on Special Education at Mount Diablo Unified School District, the chair of the CAC Blog, a volunteer for KidCompass (a special needs program at Oak Park Christian Center), a volunteer at my children’s school, and works part time as a classroom aide for MDUSD. You will find Autumn enjoying “dates” with her eldest son, yelling on the side lines at soccer games, and reading voraciously on her Kindle. To review June 7th Board Minutes, you can click on the link: June 7, 2012 Board Minutes. To review August 2nd Board Meeting Agenda click on the link: August2 Board Agenda. A Special Day at the Park: We regrettably canceled the A Special Day at the Park, but look forward to offering in 2013! eScrip: Many of you know what eScrip is because you have signed up to support your child’s school. eScrip is an easy way to give to All in Need, Family Support, and eScrip will allow you to sign up three agencies/schools! (For example: Autumn’s eScrip has Sequoia Middle, Valhalla Elementary, & All in Need). It is simple to use, you add your Safeway card and your Credit/Debit cards and as you do your daily shopping a certain percentage by participating stores is given to AiN. Visit eScrip today and follow the steps and make sure you add All in Need, Family Support. Our group ID is 500030170.Bill Due:Insurance is due again! Please consider donating to help pay for this years insurance as of August 3rd the cost for this years insurance is approximately $2,199. We expected it to go up about $900 more, and insurance broker cost we were in the ball park. There is a 3.00% APR charged to each month to any unpaid balance excluding property and accident.Help Needed:Sub Committees: As AiN continues to grow, we will need volunteers for sub committees. Volunteers will be needed for the following sub committees: financial, development, PR and other needed committees. Please consider supporting AiN by volunteering for a sub committee. Please email Crystal, sub committee chair, to let her know how you can help AiN. SalesT-Shirts: If your child attends the social group outings, please purchase a T-shirt for your child. The cost is $15; please email Autumn with the size. Girl’s shirts will be purple and are available in sizes medium through large. The boy’s shirts are gray and come in sizes ranging from medium to extra-large. This will be required in 2013, but available now. Volunteers: AiN has some amazing volunteers! Thank you, Andrea, Angie, Jacob, and Sherly for helping out at AiN’s Social Event Wii Night! Thank you to AiN Respite Volunteers for supporting AiN’s respite on Saturday, July 21st: Andrea, Austin, Deb, Jacob, Jerry, Koralyn, and Sherly for making a sucesssful evening. A special Thank you to Costco who has donated to our cause! Saturday Social Group: We are in need of volunteers to help out with AiN outings. The first Saturday of the month social outings are scheduled late morning or early afternoon and last 1 1/2 hours. Here are a few examples of our scheduled activities bowling, Qzar, Ghost Golf, and so much more. Please visit our website for more information.Respite Events: The third Saturday of every month we are in great need of volunteers for respite care. Respite care is a three hour program where we give parents a break, while we promote social interaction with the children offering gross and fine motor activities all in a sensory based atmosphere. This event is a three hour event in the evening once a month. Please visit our website for more information. A Special Day at the Park: Saturday, August 25th from 10 am to 5 pm. A Special Day in the Park, every family deserves to be able to enjoy a fun filled day even when those families are struggling with children who have special needs. AiN is making that happen! Thank you to our local supports: Kinder’s BBQ, Costco, and Sinful Bliss for supporting A Special Day at the Park. To purchase your tickets visit eventbrite. Insurance is due again! Please consider donating to help pay for this years insurance as of July 8th the cost for this years insurance is $2,104. We do expect it to go up about $900 more. There is a 3.00% APR charged to each month to any unpaid balance excluding property and accident. Volunteers: All of you who have supported AiN and the families we serve, a special thank you! You change our community and touch our hearts. A Special Day at the Park: August 25th 9 am to 6 pm, AiN will be having a booth and volunteers are needed to help with a booth and other activities throughout the day. Please sign up. New Board Members: AiN has a complete board! Though specific positions are still being hashed out we have a full board. As the founder of All in Need, Family Support I am thrilled to announce two new board members. Erica Chew, who is the Director of Accounts Management at FRG Waste Resources, Inc., and Julie Payne; Julie is the Assistant General Manager at Westfield Valley Fair. Both ladies graduated from St. Mary’s College with degrees in business. Sub Committees: As AiN continues to grow, we will need volunteers for sub committees. Volunteers will be needed for the following sub committees: financial, fundraising, and other needed committees. Please consider supporting AiN by volunteering for a sub committee. Please watch future newsletters for additional information.Rummage Sale: AiN’s insurance annual renewal is coming up and we would like to gather as much funds as possible to help cover this cost. In an effort to raise money for this cost; AiN will be having a rummage sale (date to be determined). Please consider donating items to AiN’s Rummage Sale. Also, we will need volunteers to help with this event. Additional information to follow in next month’s newsletter. New Program: Leadership Program! Children who have special needs and can help support AiN’s mission are welcome to participate in this program. These children will have a chance to help support the respite care program, fundraising, community awareness on special education, and other activities. More details to come in June! Respite: We are thrilled to report that moving back to Oak Park was perfect timing; at last month’s respite we had nine kids and for the May respite we have nine registered!Social Events: Our average attendance for social groups has been five and this month we have seven registered!Escript: Please add All in Need, Family Support to your escript account. You can have up to 3 nonprofits on your account. This is an easy way to give and have friends and family give. We are receiving about $2.00 a month from escript; with your help we could have enough deposited per month to give one child a scholarship for one event. Sign up today AiN’s Group ID number is 500030170. Angie Barber: Thank you for volunteering your time at One Hundred Fun Hundred.Gail Creashaw: Thank you for the donation to help purchase T-shirts.Al Green: Thank you for the donation to purchase the iPad and apps. Austin Green: It is nice to see a young man dedicated to making a change. Thank you for your help at One Hundred Fun Hundred and as you get older you will make a huge change in our world. Saturday Social Group: We are in need of volunteers to help out with AiN outings. The first Saturday of the month social outings are scheduled late morning or early afternoon and last an hour and half. Here are a few examples of our scheduled activities bowling, Qzar, Ghost Golf, and so much more. Please visit our website for more information.Respite Events: The third Saturday of every month we are in great need of volunteers for respite care. Respite care is a three hour program where we give parents a break, while we promote social interaction with the children offering gross and fine motor activities all in a sensory based atmosphere. This event is a three hour event in the evening once a month. Please visit our website for more information.Bay Area Kidsfest: Memorial Day Weekend AiN will be having a booth and volunteers are needed. Autumn’s son is dancing at KidFest and she really would like to watch, so volunteers would be greatly appreciated so she doesn’t miss her son on stage. Please sign up. New Board Memebers: As the founder of All in Need, Family Support I am thrilled to announce our new Chair, Adryon Ketcham. Adryon, a behaviorist, is the owner of Goals for Autism. Crystall Stull who has stepped into our Committee Chair position is a Resource Teacher at Mt. Diablo School District. She also won a “You Make A Difference Award” from the Mt Diablo CAC. Elizabethe McChallan will be joining the board in June as the treasure. We are still in need of a Vice Chair and Secetary, please considering supporting All in Need, Family Support in this way. With a new board come new policies. The newest policiy is that AiN will be charging the posted prices on the AiN webpage which is $25 per event. We do have a couple of wonderful deals to offer families. For the months of May through December you pay $350 (Non-Refundable) upfront and your child can attend all three regular schedule events which is a savings of $10.42 per event. *Preregistration is still required to let staff know your child will be attending. **This deal is only for regular scheduled events. ***There may be additional cost per social group due to activity fees. AiN will also be offering a four month deal. You pay $250 (Non-Refundable) and your child can attend all three regular schedule events in a four consicutive month period which will give families$4.16 savings per event. *Preregistration is still required to let staff know your child will be attending. **This deal is only for regular scheduled events. ***There may be additional cost per social group due to activity fees. Social Groups – Signup for two social groups per month and save $5. A $2.50 savings per event. *No refunds will be given out, and additional fees may be due to cover additional cost of outside services. When you sign-up and pay for three events (2 social groups and 1 respite) per month you will save $10. A savings of $3.33 per event. *No refunds will be given out, and additional fees may be due to cover additional cost of outside services. Watch your emails for discounted registration codes. Angie Barber: Thank you for the hard work Angie has put in with filing and data entry. Congratulations on your new job! Gail Boatright & Oak Park Christian Center-thank you for allowing AiN to use your facilities. Karolyn & Al Green-your continued support and the amazing apron. Lutheran Woman of Faith–Thank you for the $300 donation! Saturday Social Group: We are in need of volunteers to help out with AiN outings. The first Saturday of the month social outings are scheduled late morning or early afternoon and last an hour and half. Here are a few examples of our scheduled activities bowling, Qzar, Ghost Golf, and so much more. Please visit our website for more information. Respite Events: The third Saturday of every month we are in great need of volunteers for respite care. Respite care is a three hour program where we give parents a break, while we promote social interaction with the children offering gross and fine motor activities all in a sensory based atmosphere. This event is a three hour event in the evening once a month. Please visit our website for more inforamtion. Girl Scout’s One Hundred, Fun Hundred: AiN will be hosting a booth on Saturday, May 5th from 8:30 am to 5 pm this will be a day that will be jammed packed with exciting activities for all ages and abilities. Consider supporting AiN by helping us at Alameda County Fairgrounds. Signup online! “Parenting the Child with Special Needs” MiniConference: Mt. Diablo Adult Ed and The Community Advisory Committee will be partnering up to put on a ½ day Conference on Saturday, May 12th from 8:30-12:30 at Loma Vista Adult Center, 166 San Carlos Avenue in Concord. We need volunteers to help with AiN’s booth, and it is only a 30 minute commitment! Please sign up here. A Scholarship Pledge Campaign: AiN is trying to reach $7,000 for scholarships for families that can use our support this would allow about 350 children to participate in an event. This pledge will be starting March 16th and running through Friday, May 18th.